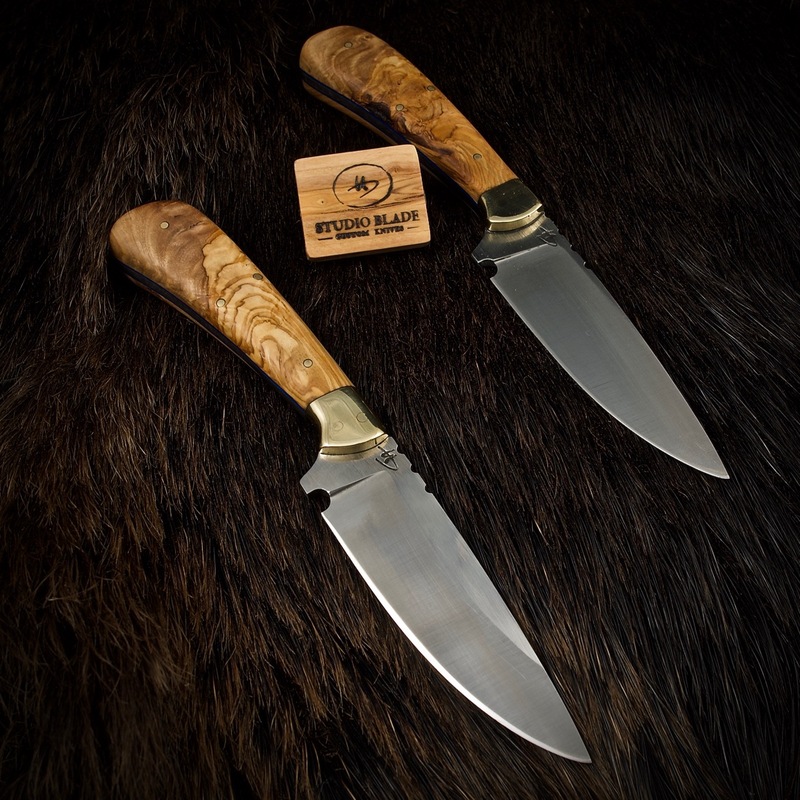 Custom knives set for a father & son. 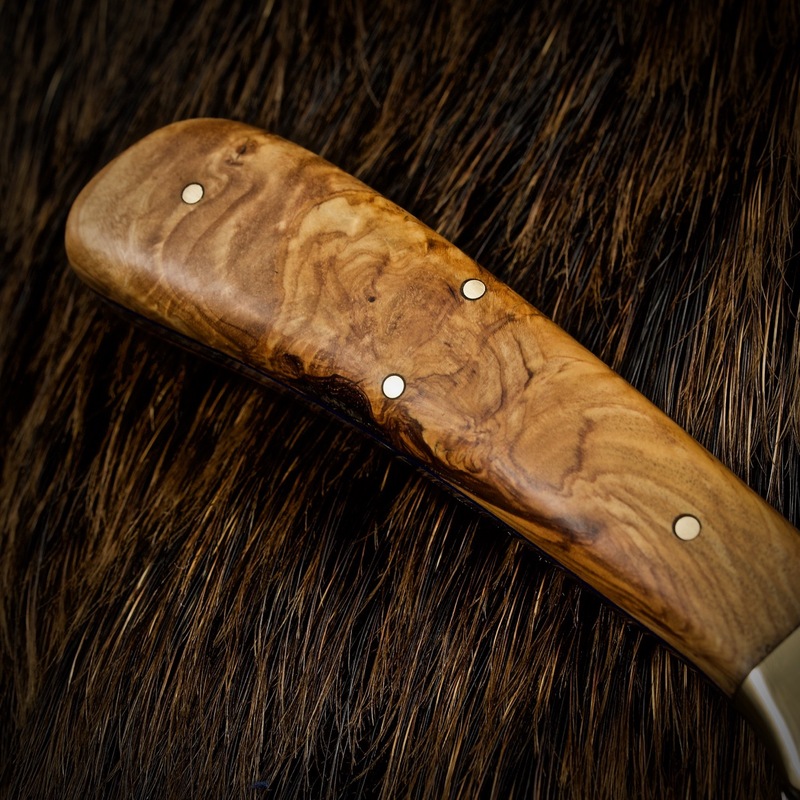 I finished this set of knives. 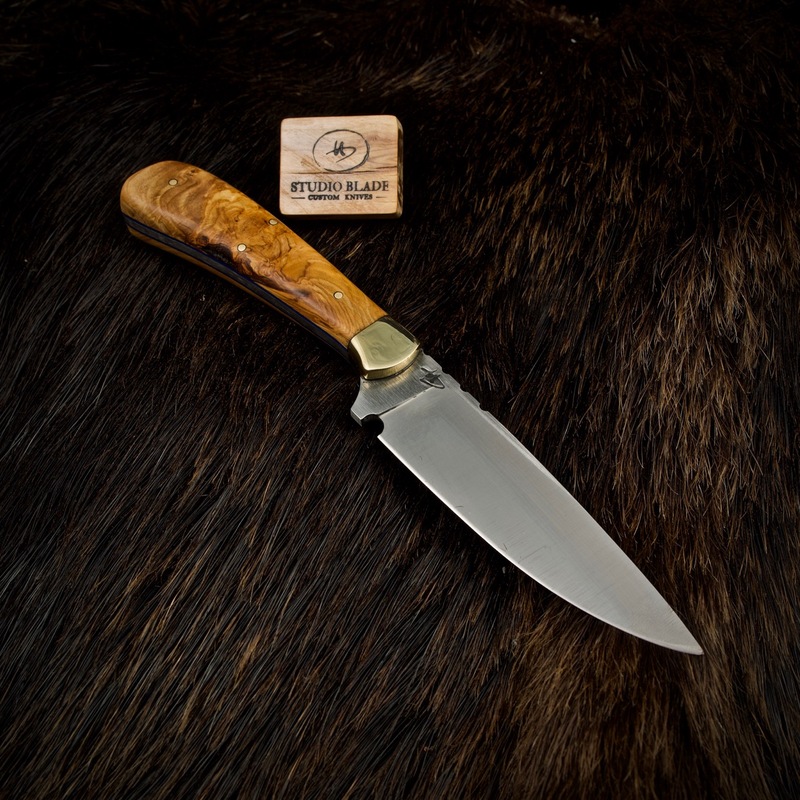 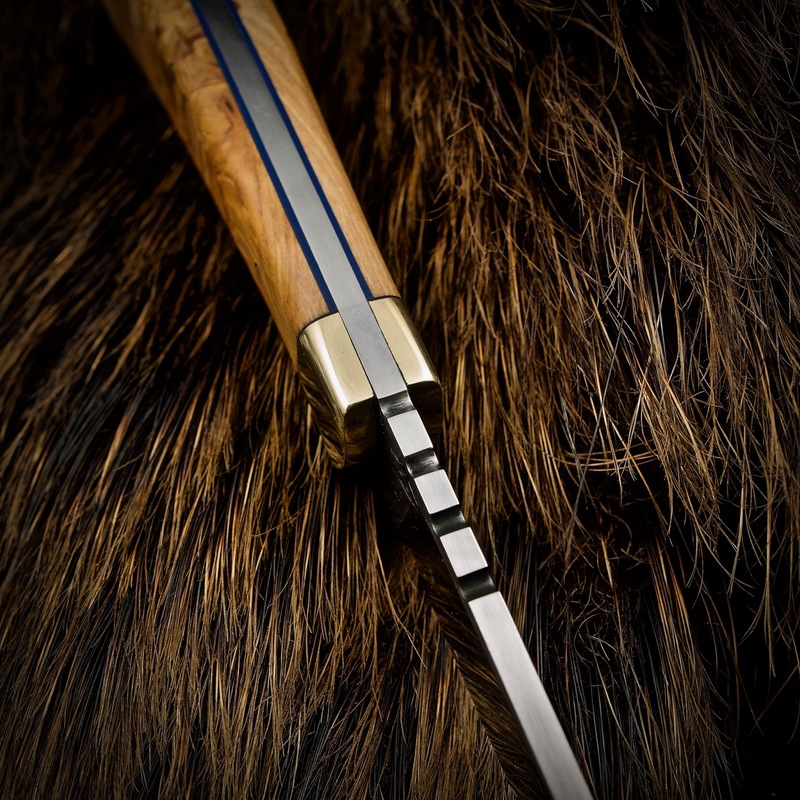 Ordered by a hunter for him and his father, who is a fanatic knife collector! 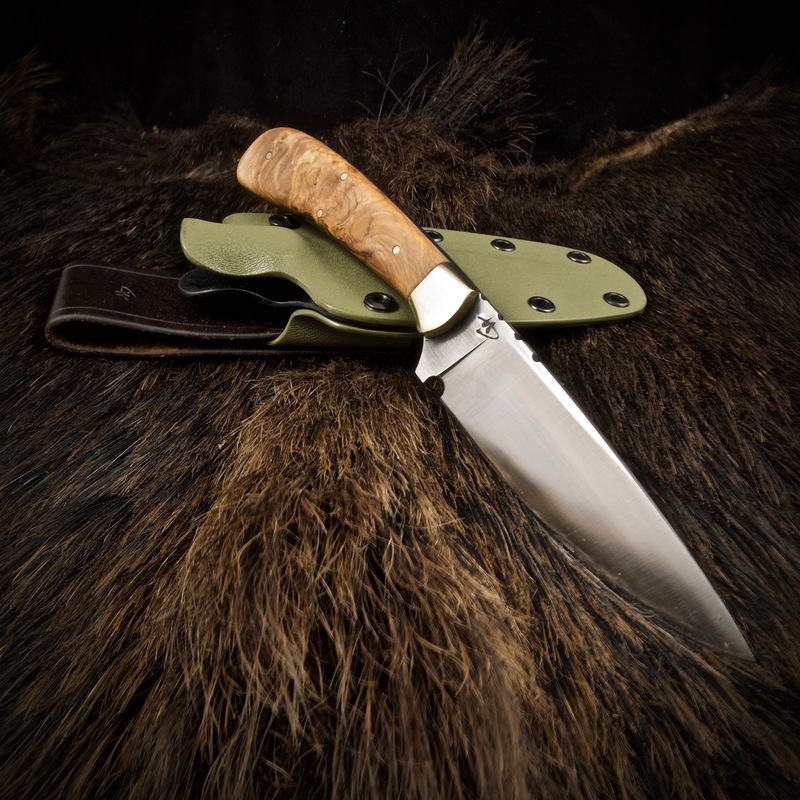 I guess every man wants a son like that… D2 steel, handles in olive wood, kydex sheath with a leather belt loop.